Getting greedy is when you make a loss. But betting with your logic and not your hopes can be pretty damn profitable. 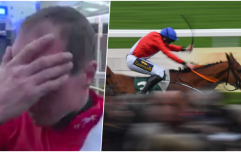 The Cheltenham Festival throws up some cracking tales of woe, luck and successful expertise - and that's only in the bookies. 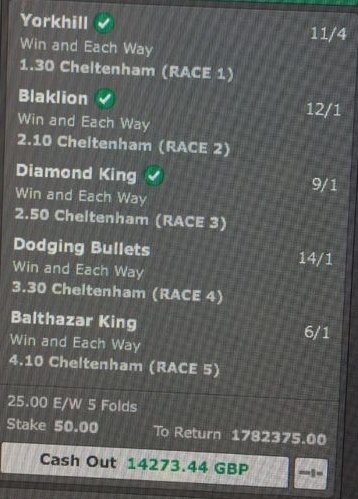 One punter during the week pocketed nearly £850,000 with this ridiculous five-horse accumulator. And, although the cash out in question here didn't reap as much monetary rewards, it would've offered a hell of a lot of satisfaction. A 50 quid bet during the week was promising to return over £1.7 million. The cash out? Just over 14 grand. And, my, what a cash out it was. At the perfect time, the bet money on the table was taken. Afterwards, Dodging Bullets watched on as Sprinter Sacre made the Champion Chase his own again (insert dodging a bullet pun here). 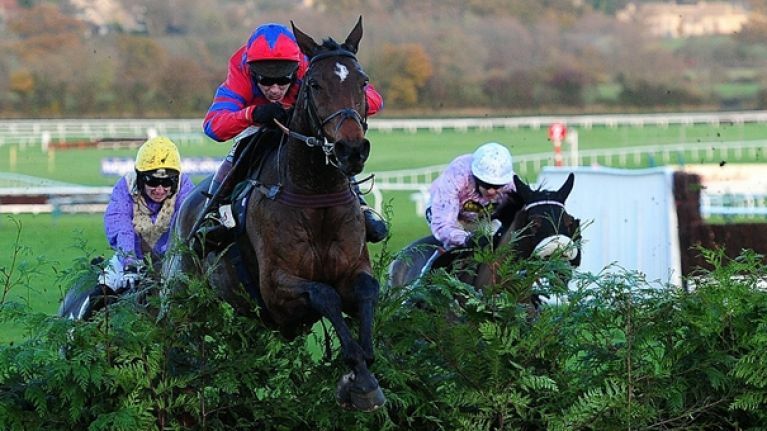 Balthazar King? He fell in the very next race to the shock of the nation and the delight of this punter who's three winners accumulated a 285/1 shot.